Museums in the Netherlands are usually particularly child-orientated and very tolerant of small visitors. I recommend buying a museum card as this gets you into all museums free. Individually they can be very expensive, and it's great to be able to take the children for a short time frequently without feeling you have to get your money's worth. 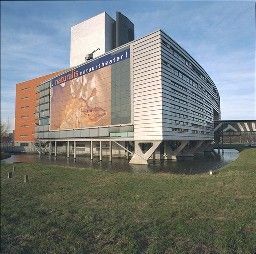 You can buy a museum card in any museum or order it online at www.museumkaart.nl . Most museums have pegs and lockers for valuables, so it's worth having 50 cents on you if you need a locker for your stuff. This museum has had a huge renovation programme, and makes an effort to be child friendly. We find the displays rather dark and surprisingly unappealing, but there is lots to see. The layout is also quite confusing. Temporary exhibitions are often the best bet, as they are frequently very child-friendly. In the school holidays they also have great special activities. There is a new play area, De Wilde Bus, handily situated near the café and chill-out area. At the museum gates there is another small café selling rather nice fresh food. Be aware you can park your bike much closer to the museum entrance, as it's quite a long walk from the gate to the museum with small people!. The museum is accessible with a pushchair/wheelchairs but this does mean various extra lifts etc, and there are a lot of heavy doors throughout the museum. This museum has had a huge renovation programme, and makes an effort to be child friendly. We find the displays rather dark and surprisingly unappealing, but there is lots to see. The layout is also quite confusing. There is a sort of 'car' that children can drive round the museum, which is a lovely idea but quite hard to steer and involves a lot of fighting and not much museum viewing with my children! There is also a play area, which is nice for half an hour or so, although it gets a bit claustrophobic. In the school holidays they have special activities, which can be fun. Temporary exhibitions are often the best bet, as they are frequently very child-friendly. There is a small café selling rather nice fresh food at the entrance (it's quite a long walk from there to the museum with small people!) and another one inside. The museum is accessible with a pushchair/wheelchairs but this does mean various extra lifts etc, and there are a lot of heavy doors throughout the museum. This is a fun museum for children, and accessibly displayed in a compact setting, although some of the cases are quite high. There is a temple that they can play in in the lovely entrance hall, and during the school holidays they have excellent activities there, which are even enjoyable for little children. Apart from the rather unhelpful turnstiles it is easily accessible with small children and pushchairs. The temporary exhibitions are excellent and often child friendly. The loos are rather unhelpfully situated so plan your loo trips! There is a nice café in the entrance hall. Do be aware that you can't take a large bag or rucksack into the museum: you have to leave it in a locker, which can be a bit tricky with small children, so be prepared! 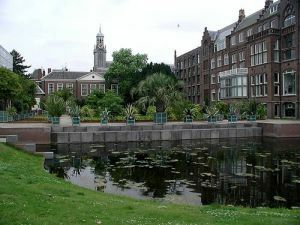 The Hortus is one of my favourite places to go with children in Leiden. There is loads to see, even in winter (the greenhouses are fab and even have fishtanks, as is the very hot Victoria greenhouse (with the giant Victoria Regis lily), although this has stairs and is not accessible by pushchair or wheelchair. Once a year when the lily flowers there is an evening where you can bring your baby to be photographed sitting on a lilypad! We love the carnivorous plants greenhouse, with tons of pitcher plants, and looking for the banana palm and the chocolate tree etc. There is a very nice shop and café, and they also sell ice creams. If you have a head for heights and children with strong legs, this is quite a fun one-off outing, especially for the view of Leiden. It has seven floors, and a phenomenal amount of climbing to do! Be aware that if it's windy you may not be allowed outside. 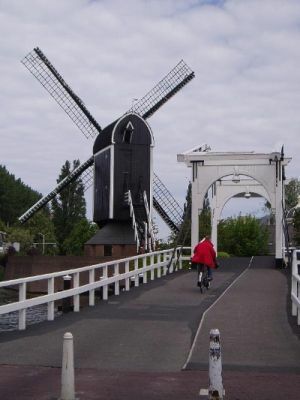 It is more suitable for adventurous older children, and you learn a lot about windmills. Definitely not wheelchair/pushchair accessible. This museum is great for small people who love trains (and of course big ones too). It's not open very much, so make sure you check the website before you go for the exact dates on which it is open. There is a museum as well as a steam or diesel train running on which you can take rides. The ticket prices includes both. 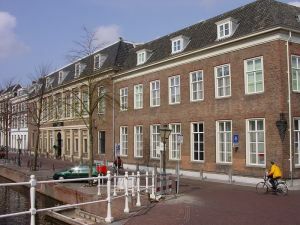 Located on the Rapenburg, the Sieboldhuis is an exciting and suprising treasure trove for adults and children. It celebrates the historical link between Japan and the Netherlands and displays (as well as many fascinating temporary exhibitions) the art and artefacts that von Siebold brought back from Japan. They have interesting events for children (check the programme) and an excellent shop. 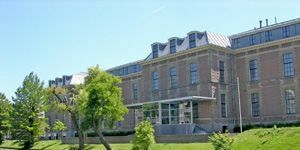 The museum is on several levels and has steep stairs up to the door, so accessibility is an issue – it is technically possible but requires asking for help. If you can manage without a pushchair it's best to leave it at home! 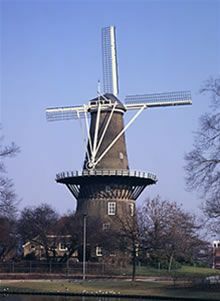 This is a much smaller windmill than de Valk, and it is free to go up. The steps are precipitous but it's rather fun. Don't try and do it on your own with an older and a younger child, however, as it is logistically impossible! They grind flour that you can buy in the shop at the bottom, which is quite fun. It's open most Saturdays but check online first.